Welcome Back Bookworms!! Today I've got a Blogger who not only loves working out, she also loves sports like no other! 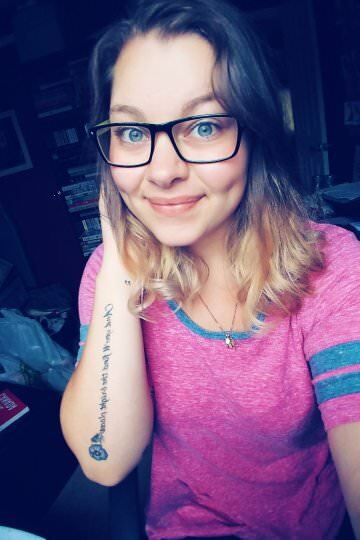 I've had the pleasure to meet Amanda, and of course share our love of reading, and I'm so excited to share her feature today! So with that being said, let's get started!! 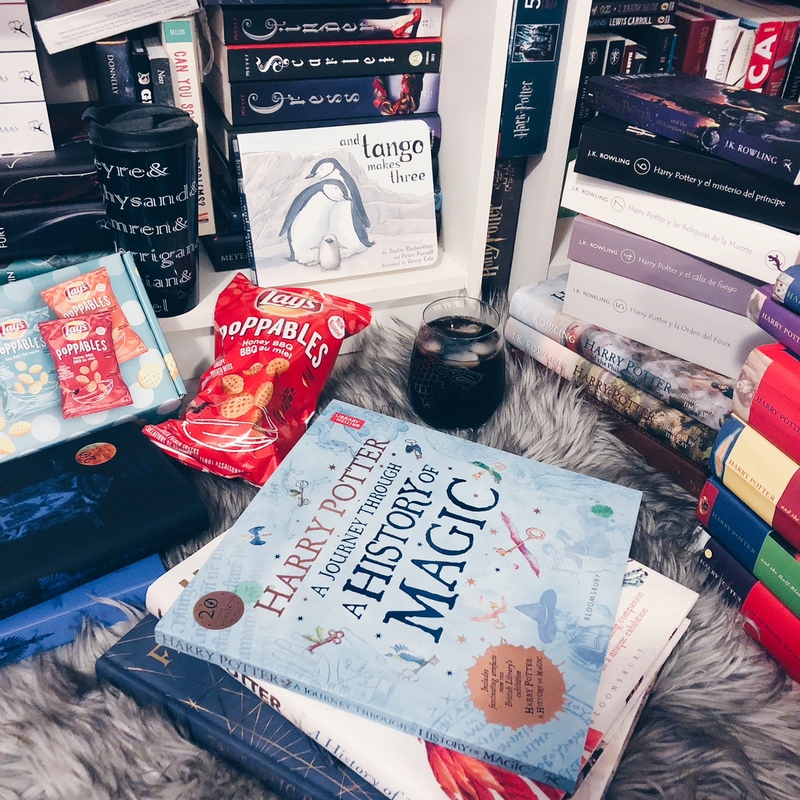 A: My name is Amanda and I’m a book blogger & bookstagrammer! I have a mild obsession with Groot and Nifflers and buy almost anything that features either and I also love sports. I mostly watch football and baseball but can appreciate most sports in general (even if I may know nothing about them). A: I somehow stumbled on Octavia of the blog Read.Sleep.Repeat on Twitter (I don’t remember how it happened but I know she was the first) years ago and started following her. She got me hype about so many books I probably would have never found without her twitter feed and seeing her posts and retweets got be thinking, “hmmmm this seems like something I would love to do.” I no longer had working football seasons in my year so I was searching for something I was passionate about to throw myself into. My first try failed miserably; I wasn’t organized, hadn’t looked into any of what book blogging entails and got way to request happy on NetGalley. All this contributed to me being overwhelmed almost immediately so I scrapped it and didn’t think about it for a while. A few months later I really wanted to give this a try again so I started researching to see if any much more experienced bloggers had guides up. I found a few and made notes out the wazoo. 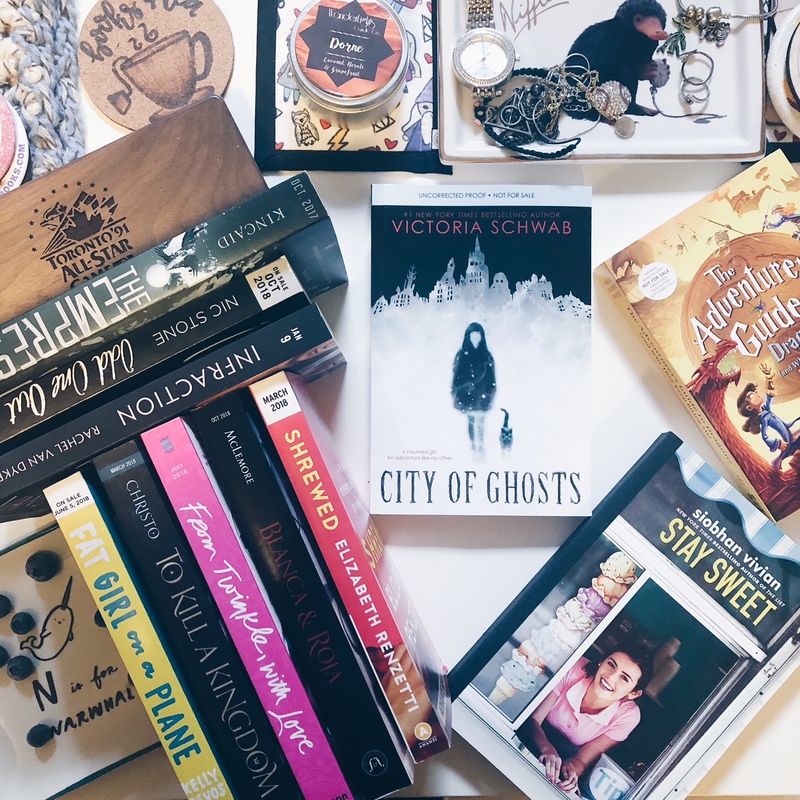 I felt ready AND came across the Book Blog Ontario meet-up that was only a few weeks away. I decided I’d start preparing my blog and get myself organized and back in the mindset and launch at the beginning of July and then meet the community at the end of the month! All the contacts I made and the new blogger friends kept me inspired to stay in the community even when I felt like I was failing and just keep working at it. Brains, Books, and Brawn was born in its current form back in July of 2015! I still don’t have the full handle of it but learning along the way and adapting to new changes and technology (hello, bookstagram) is always fun! A: As I mentioned before, Octavia originally but then on my second attempt at this crazy thing we call blogging I found an amazing network of local bloggers that got me excited about my new community and endeavour! At the core of it there is, of course, also my life-long love of books! With out that I never would have been as fascinated by this new form of blogging I never knew existed previously! A: I find I’m always the most productive when we do blogging days with others in the community. We often digress and conversations go all over the map but being around other people who are getting so much done is infectious. I’m also way less likely to fall into the hole of the handful of things that distract me from getting things done when there are others around keeping me honest LOL. A: In terms of how I review, although I occasionally go down a technical road, I’m very much a feels-dominant reviewer, especially if you give me characters I give a damn about and throw them into situations that make me neeeeed to know what happens next. As for how I work, I usually like to be very organized and have deadlines and plans for myself. Lately my day job has been super hectic so I’m basically blogging as much as I can when I have time and sticking to concrete commitments. Hopefully very soon I can get back to my organized ways! A: I wish back when I tried blogging the very first time that I knew how much work it takes. I also wish I could have told myself to behave on NetGalley and not request ALL THE THINGS. From conversations I’ve had with others it’s seeming like this is a common rookie mistake and many of us have no self-control at first because books. It’s like the first stage of those “oops I preordered 7 books” posts we end up sharing later on down the road. A: In my spare time I like to watch way to much Netflix, follow my favourite NFL/CFL/MLB teams when they’re in season and I have time, and workout. I also love spending time with friends but a lot of my nights are very hermit-esque! A: I motivate myself to keep this little blog of mine going by reminding myself why I loved it in the first place. 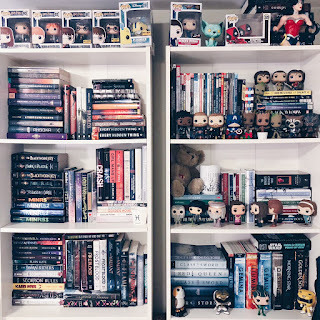 I’ve built an amazing community around me, I adore reading and spreading the word about new books to other bookworms and now even some of my friends who are more casual readers than power book-devourers. I even managed to turn my mom, who had barely read anything in years, into the Usain Bolt of reading; she now panics if she has less than 5 unread books in queue! 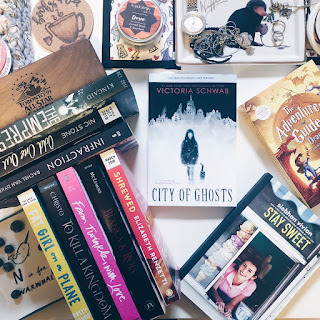 The growth in popularity of bookstagram has also helped keep the fire going. It’s a new medium to learn and trying to plan out and edit pictures is a fun challenge. A: The most frustrating thing and my biggest struggle is trying to keep consistent. I always make grand plans to get weeks of content ready when I have spare moments and it never seems to pan out lately. There’s no worse feeling than wanting to create and not being able to. A: Meal: A giant salad with spinach, berries, chickpeas, cheese, and whatever dressing I’m feeling. Creative salads are my fav thing because the options are endless. Outing: Movies for sure although if a favourite Latin artist comes to town I’ll probably jump on tickets for those as well! A: For me it’s a hobby. I have a full-time job usually during the day and do my reading on the way to and from work and at night when I get a chance. My ideal schedule is to spend an hour or two each day putting stuff together (maybe while watching Gilmore Girls for the fiftieth time). Reviews don’t take me long anymore because I’ve set up templates and made my graphics for each post already. The most time consuming is Instagram. Some days I know exactly how I want to compose a picture and what’s in my head ends up working perfectly. Other days no idea I come up with wants to work and it’ll take me what feels like forever to even get a shot I like which still leaves editing. A: An e-reading device and ideally some way to charge it until I can get off the island. Bug spray because those little pains always love me the most. And a friend! A: Oh gosh...I need to restrain myself for this otherwise I could write an answer longer than Don Quijote. A: Research, research, research! And also don’t be afraid to reach out to others in your chosen community for help. Not everyone may be helpful but there are many awesome people who can give you tips and support! Here's Where You Can Find Amanda!